What do you have to do today? Really. Look it over. 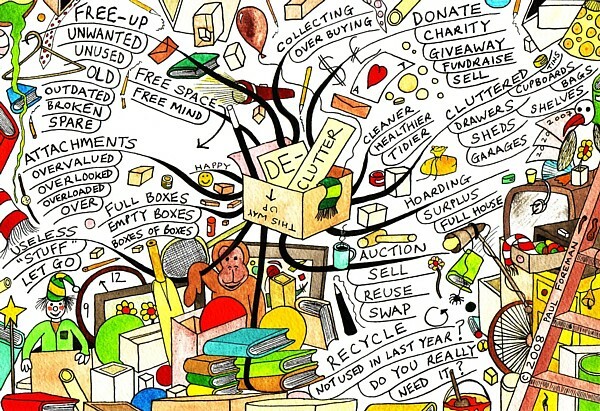 Whether you have an actual list in front of you or just a stack of tasks gathered in your mind, have a good look at it. Ask yourself; is all of this necessary? Is any of it necessary? Who says so? Even if that voice in your head barks back ‘I say so!’, inquire. Who is that voice? Is it really you? Or might it just be a collection of expectations and obligations that a life of conditioning has imprinted upon you? This may be a frightening thought, that some entity other than ourselves is driving our minds. But this ‘conditioning’ need not be seen as intentionally oppressive, as if some evil perpetrator were sitting in a wingback chair, laughing, hands held together in a pyramid, fingers dancing back and forth while we silly mortals fall prey to some grand evil scheme. Conditioning has just happened. This is simply how life has developed so far. It’s a part of our growth. And not all conditioning is bad. But when we are blind to it, it drives us. It fills up our ‘to do’ lists with endless things that we feel we must do. The extent to which we can see this conditioning at work is the extent to which we can become free of it. After all, it is in the nature of a mistake to disappear once we discover it. And then we can watch our ‘to do’ lists thin out significantly. They may go blank altogether. And they may remain that way for a while – empty. And that’s ok. After running a marathon, whether finishing first or last, it’s reasonable to take a moment to gather our breath, maybe have a sip of water and walk it off. Similarly, when we wake up to see we’ve been running in circles for most of our lives, we are permitted to take a bit of a breather, to walk it off. We may feel aimless for a while. (We’ll certainly appear it!) This is ok, too. Gradually, we can begin introducing new items to our ‘to do’ lists, when we feel up to it, and especially when we feel inspired to act from a place of conviction – a place of deep truth. We are no longer merely following commands, but seeing action arise from our natural impulse for love. We do what we want to do, what we love to do. We can begin developing ‘to do’ lists with intention. 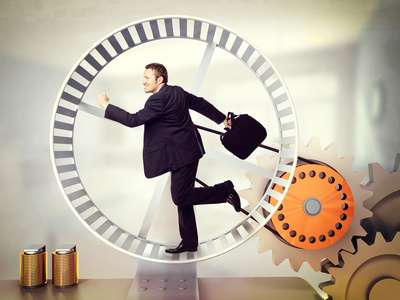 It’s our inattention that has kept us spinning in hamster wheels for so long. It’s time to rise and shine. What I am talking about is a subtle but vital distinction which can revolutionize our lives. This is the fine line between obligation and responsibility. But what’s the difference? How do we discern which is which? Sometimes it’s a razor’s edge. And it’s more often not even about what we do, but how we do it. Are we doing something because we have to or because we want to? It is not always so simple, though this can be a good place to begin our inquiry. Fortunately, for fuzzier matters, a bit of patient reflection can help us understand which voice we should be honouring. So what is obligation? Well, to feel obliged to do something seems to imply some sense of pressure, some external force, whether from the expectations of our family, our work, or society at large. These are tasks we would seldom take upon ourselves to perform. But responsibility is literally the ability to respond. Response-ability. It’s all right there. This is an uprising of our truest self, a deep moral sense of right action, appropriate to the moment. And it always comes from within, expressing itself in a completely unique way through each of us. Still, it can be difficult to strain through the many voices chattering inside of us to figure out where each voice is coming from, where they would have us go and what they would have us do. This is where thinning out our ‘to do’ lists can be so helpful. It’s a two-way street. It may feel a bit scary, at first, and maybe even a little crazy, but by stripping away our excess ‘busy-ness’ – if only for a few days, allowing ourselves to breathe and relax – we can begin to see what is truly important in our lives. It will emerge all on its own. And we can learn to prioritize more wisely. As we do this, we may hear old voices rising up inside, telling us we are letting people down, or letting ourselves down. But if we can weather this storm, perhaps we can stop worrying about ‘let downs’ and learn to let up and let go. Maybe we’ll realize that what we want is not what we need, and what we need is not what we want. Facing this can be disorienting. But if we can exercise a bit of bravery – just enough to take a small step out of our comfortable routines, letting go of our ‘to do’ lists for a while – perhaps we can become more of who we truly are, surrendering the rest, and ending up a greater help to ourselves and others, growing and serving in ways far beyond what we had ever imagined possible. Why not try letting go? Maybe all you have to lose is all you need to lose to be truly free. Take a deep breath in and let go of everything else. Exhale and feel the release spreading through your entire body. This is our natural state. Inner peace is our effortless inheritance. There is nothing it asks us ‘to do’ but let it in. So be still. Go deep. And ask yourself, what do I really have to do today? Seasons are shifting. You may have noticed. The equinox is upon is. It is happening today – in about four hours (10:30 PM EDT). 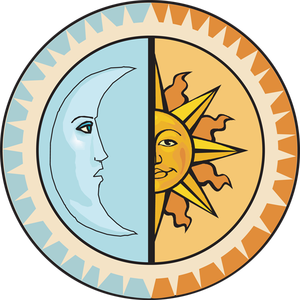 Today the sun shines directly over the equator and both day and night are equal length – twin windows of sunshine and moonlight. This turning point happens twice a year – once in March and once in September – falling directly between the solstices. The equinoxes are points of balance between the extremes of light and dark. I often stop to note these shifts and take time to appreciate the great cycle of life forever in motion. I see these moments as opportunities to check in with the quiet still-point which registers these passing phases (as if I needed more excuses for reflection.) As much as I would like to be perfectly still and observe life in effortless balance, I still find myself somewhat caught in the swing of the seasons, trying to piggy-back on its momentum to some deeper plane. I cannot count the amount of times I have tried to ‘turn the corner’. I have been doing it for years – for as long as I can recall, really. Perhaps not all the way back into early childhood, though I cannot rule it out. My parents may be able to speak to that. I suspect that, to some extent, it is common for all of us to do this. Our recurring urge to ‘turn the corner’ arises as a desire to reset, to start again. OK. Here we go. Clean the slate. This time for real. One more shot. This perpetual impulse to ‘start fresh’ feels closely related to perfectionism (at least that’s how it feels to me). There seems to be some part of us that resists moving forward unless every step behind us has fallen faultlessly, sitting at least somewhat resolved in our rear-view mirrors. Later in life, this urge asserted itself in the form of frequently committing myself to rather lofty ideals (followed just as frequently by defeats). Long before working toward any of these ideals ever occurred to me, I often got carried away visualizing my incredible (and obviously destined) success, unconsciously investing expectation in particular outcomes. As events unfolded in different directions, I would experience deadening let-down when my dreams fell to pieces. Repeating this pattern over and over exhausted me and eventually led to deepening depression and apathy, my strong idealistic streak being increasingly undermined by a lack of faith in my ability to accomplish anything important. I seemed incapable of dreaming small, and more and more incapable of chasing any dreams at all. And yet some part of me kept emerging to ‘make a change’, to ‘set things right’. Whether it was my birthday, half-birthday, New Year’s Eve, Lent, March Break, or the third Thursday of June, I looked for any old excuse to start anew, to turn a corner. I wanted to break away from the past and really get the ball rolling once and for all. Though I had dug myself into a bit of a hole, this undying urge to ‘turn the corner’ eventually saw me make significant progress toward freedom and inner peace. I began letting go of clutter, inside and out, and found that the rough road behind me had been paving its way to peace all the way. The key seems to be quick forgiveness, starting with ourselves. After owning up to our past shortcomings and letting go of judgement, we can see our paths resolve themselves in the rear-view mirror of our minds. Once we accept this inner forgiveness, we can effortlessly and playfully recommit to the loftiest ideals possible, knowing we may well fall off the pony a million more times, continuing to forgive and persist nonetheless. Indeed in any worthy venture, patience and persistence seem to be guiding lights. Understanding that life is a process, accepting that we are all on journeys of learning and growth, we find a willingness to make mistakes, and a greater faculty for ‘turning the corner’ and ‘getting back on the horse’. Although I seem to need regular reminders, somehow I keep on trucking. On some level we all do, but struggling with our lulls can actually entangle us even more. I have learned this the hard way, and try not to fuss too much when good grooves take sudden turns. Most recently, after riding the wave of a two-week juice fast into the new school year, kick-starting my writing routine after some summer fun, my lofty dreams of discipline and work fell flat. I tried to right the ship but it ran ashore. September has largely slipped away with little work done. Last week I hardly wrote at all. I slept in most days. I could feel the seasons shifting, and it made me feel heavy. A cold ran through our home and we all had the sniffles, some of us even worse. But I did my best not to wrestle with any of it, taking it in stride and trying as best I could. (Or giving up and watching a movie with a tub of hummus and a sleeve of rice cakes). Now two days into a fast, I am ‘turning a corner’ yet again, renewing my commitment to my morning regimen and riding the momentum of the equinox into a new season! The equinox is hours away and a new moon is upon us tomorrow – it feels like a truly great moment to turn the corner. Join me! 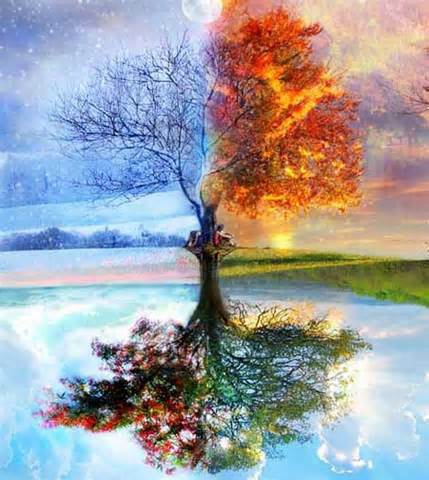 Ride the wave of the seasons! Honesty is the best policy. 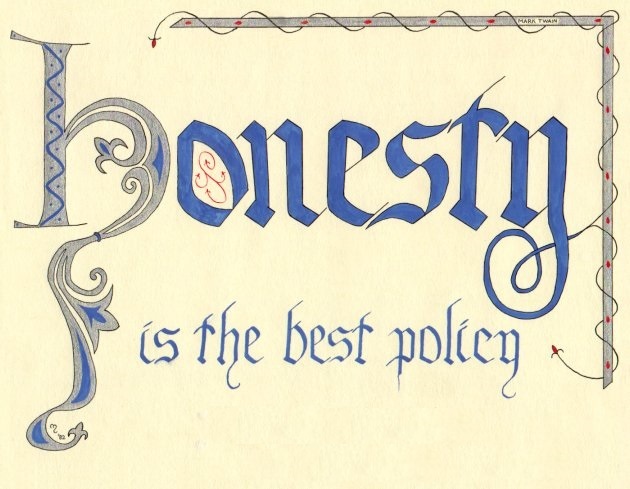 We have all heard it many times before – and it seems a reasonable code to honour. But how often do we really live it from the depth of our hearts? I guess I can start by sharing that I don’t really know what to say today. Yet here I sit writing – for its own sake, I suppose. I have been in the habit of publishing a post every Monday for a while now, and I wish to keep my rhythm rolling. It is a routine more for myself than anyone else. Even as I intend my writing to be an act of service, I am aware that relatively few people are reading these words. Perhaps my service is starting out simply – I don’t know. Either way, I try not to get caught up in chasing some vision of the future. I feel I can best serve others through complete honesty and unconditional acceptance of this moment as it is. As grateful as I am for every person reading these posts (THANK YOU! ), I have to admit that just getting myself into the habit of outward self-expression is a large motivating factor. I feel it is a healthy habit, aside from what I might actually be saying. Someone recently asked me (in reference to my blog) if I minded ‘hollering into a vacuum.’ I didn’t know how to respond. I wondered for a moment if we are all doing just that, on some level – hollering into a vacuum. At least we’re doing it together, I thought. But does it really matter if we get any notice for our work? For the most part, I don’t seem to mind doing my work without getting any attention or recognition. I am grateful to express myself. And if someone tells me that my post meant something to them, it is a feather in my cap, icing on the cake. So when I came to face the blank page today, wondering what I wanted to holler out into this particular vacuum, I found myself looking over some old notes on balance. ‘A return to balance is inevitable. A departure from balance is impossible.’ I thought about re-working my notes into something for today’s post, but had to admit that I no longer feel the same way I felt when I wrote it. Not exactly, anyhow. And I also admitted that a part of me wanted to recycle my old writing just to get the ball rolling, just to have something on the page. That didn’t feel like a very honest motivation for self-expression. So I let it go. As I slipped off to sleep last night I thought about how I was feeling (that being uncomfortably stuffed with hummus and mixed nuts), and I wanted to strip down any remnant layers of pretence and protection to be as open and honest as possible. I had been dreaming, the day before, of constructing a post that would inspire people and maybe relieve some suffering, but as I tossed and turned last night, mildly disappointed with myself, I didn’t feel worthy of standing on any soapbox and saying much of anything. I slept poorly and skipped my 5 AM alarm. When I finally awoke at 8:30, I didn’t give guilt any room to roam. After a surprisingly strong yoga session and a very quiet and calming meditation, I arose to write. Honestly, I have no idea what’s going on. I’m only just journeying through the mystery as we all are. These days, my certainties seem to crumble as quickly as they are built. I can’t say I mind. Even though well-intentioned, I recognize that I sometimes slip into some sort of ‘preachy’ tone in my writing. Though I want to share words of truth, nuggets of wisdom, seeds of peace, freedom and love – all born of my own experience – I don’t feel I have the right to tell anyone how to find anything in their own lives. I know there is something deep within us which we all share, but my saying so, and my desire to show people where ‘to find it’ may not mean much to anyone but me. At best, I can just speak my heart, whatever it seems to be saying at any given moment, and trust that to be sufficient in itself. Whatever it may spark in others is simply not up to me. Hours have passed. I have combed through the above text now and dusted it up only slightly, and the sun has faded from the window. A thin ceiling of cloud now passes by, little blips of blue showing signs of the open space beyond. I am feeling fairly easy. I have not had the most motivated Monday, but I am at peace, and that seems good enough for me. I hope that, on some level, this simple slice of honest peace is serving the wider world. See you next week. Change is inevitable. And yet many of us resist it with incredible force. Many of us have become afraid of change. Why is this? When did this happen? Did change always frighten us? I seem to recall anticipating change with great excitement as a child. I recall looking forward to growing up and seeing new things, meeting new people and going new places. Most kids dive into change with abandon. So why don’t we? What changed? Change is growth. Growth is life. We cannot hide from it. To usher in the new, we must part with the old. I suspect that for many of us our fear of change begins when we focus on what is being taken from us instead of what is being granted. The balance is always there. But when we misjudge and overvalue our sense of security, investing it in material ‘holdings’, we begin cutting ourselves off from life. This insulation and isolation, misunderstood by many to be ‘security’, actually limits our inner growth, effectively distancing us from truth and deepening our fear of change. And the tighter we hold on to this ‘sense’ of security (it is only an idea, after all), the tougher it is when life comes to take away what was never meant to stay. In this light, cultivating at least an openness to change (if not excitement) is a valuable tool for our well-being. For those of us who are not quite so afraid of change, we nonetheless find ourselves often frozen in the face of choice. 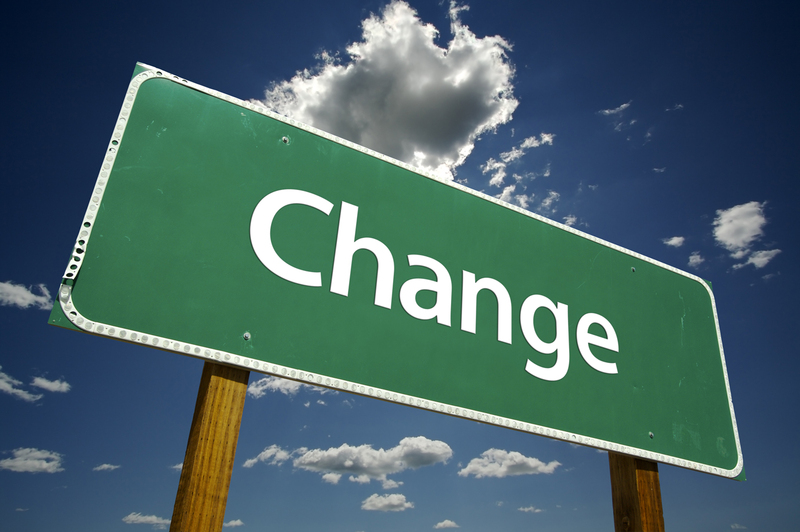 We know change is necessary but we can’t figure out how to implement it. “I need a change,” we say, and yet nothing changes. We just keep saying it. We seem to be creatures of habit, and change can be challenging, whether good or bad. But we can learn to embrace change. We can even make it a habit. We can begin by simply coaching ourselves, saying at the outset of a day, “Today I welcome change into my life.” If we say this to ourselves a few times a day (or even just once) for a few weeks, our lives can open up in wonderful ways, showing us a deeper truth and beauty than we may ever have imagined. All that is needed is the simple willingness to continue growing. This willingness becomes an incredible ally in the face of life’s inescapable and occasionally jarring losses. 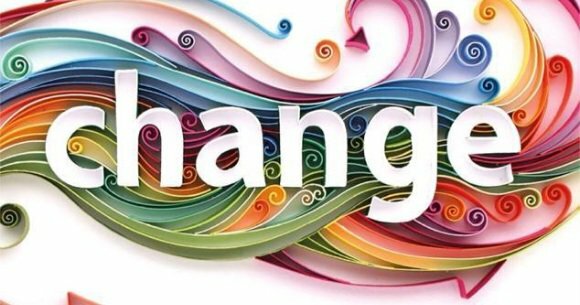 One positive thing I discovered in the midst of great chaos and change in my life was that I became more anchored in the changeless. Great turmoil can actually lead us to a part of ourselves that is constant and calm. Out on the road, dealing with a bruised ego and a broken heart, my peace paradoxically deepened (amidst great waves of anguish). As life swirled around me, with nothing tangible to hold on to, I sensed a greater presence growing in my own heart. I discovered that the more change we can endure, the more stable we can become, rooted in that which is beyond change. This we can call God, Spirit, Balance, Awareness, or Life itself – the words don’t matter. But we all have equal access to this inner peace. I feel greatly blessed to be so deeply anchored in this abiding awareness, seeing clearly that it is more secure than anything which we could ever dream, build or hold. This ineffable essence is the foundation of all life, and it is unassailable. The more we are able to hold to the changeless, keeping our minds, hearts and souls rooted in this quiet presence, the safer we are from feeling victimized by the inevitable changes of our lives. Thus, our ability to discern what is constant in the midst of change is vital. All experience is fleeting – even the most profound and transcendent. See this clearly and let it all go. Eventually, with patience and persistence, practicing presence in the face of change, nothing that comes or goes will hold any sway over us. We come to understand that it is only the love within and between all people, things and dreams that is of lasting value. It is this eternal love that we really cherish, and all the temporary vessels and expressions of this love are meant to move on, to continue growing and changing. The more we learn to let go and trust life, the more we can grow in this changeless love, endlessly expressing itself through constant creation, ever-changing, ever-new. We come to see this diversity and mystery as a great blessing. We come to see it as freedom, and absolute security. This, of course, is the ideal, and perhaps a lofty ambition for some. But I trust that if we continue risking what we see as our security, if we open our hearts to greater change, we will be amazed to grow in ways that actually bring us to a much greater safety, even when it seems to all appearances to be just the opposite. This is the peace that passes all understanding, deepening our being. At times, it may seem kind of crazy, but this is the nature of living and learning. Real growth takes a bit of faith. Faith is not rational and it never will be. So take a chance on change. Lean out into life and try something new, or simply make yourself available to it. Make change a new habit. Experiment. Invite growth into your life. It may feel a bit scary at first, but keep pushing through – it is always worth the effort. I promise that, in the end, you will be glad you did. At the end of this long weekend, as we dive into what is essentially a new season, I feel inspired to share a few quick thoughts on the power of routine. This moment seems a valuable opportunity to become more conscious of our daily routines, as so many of them shift from ‘summer mode’ back into ‘work mode’. Though it remains business as usual for many, so much of our western society runs on the momentum of the school year. We can scarcely avoid its effect. So perhaps this is the perfect chance to take stock of some of our routines, both individual and collective, and to consider a bit of tweaking and trimming. The more we examine our lives, the more we come to see the staggering influence routine has over us. I feel it can be our greatest ally or our most dangerous enemy. Like anything else, I believe it exists in balance, and we are free to do with it as we see fit. The more aware we are, however, the more effective we can be in intentionally developing healthy habits in service of growth and well-being, both for ourselves and others. Sculpting and practising new routines can be very difficult. It can even be scary. For many of us, routine is a blind comfort that we don’t even question. It seems to us as though it has always been there, and we would feel naked and lost without it. But maybe there is some value in rocking the boat a bit. Why not stretch and test ourselves with a few experiments? Perhaps we are capable of more than we imagined. One positive flip-side of developing new routines is the sense of accomplishment we can derive, aside from the greater positive impact we can have on others. Beyond that, simply discovering a strength or a skill in ourselves that we didn’t see before is a reward in itself. So where do we begin? 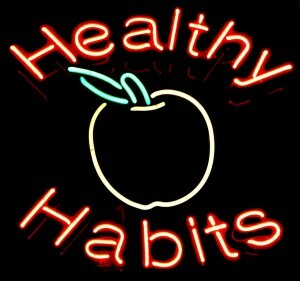 Well, it helps to be aware of which habits we have taken on unconsciously and which habits we have chosen to exercise. This can be the first sorting station. Is there some behaviour that we repeat simply because we have always done it? Can we remember why we do it? Is it serving anyone or anything? These are questions we can ask ourselves to get closer to the roots of our routines. Beyond that, we can further examine our routines, whether conscious or otherwise, and discern which are self-serving and which are in service of others. This can be a sloppy process, and is not necessarily cut and dry. I feel, from my own experience, however, that the more we serve others, the more we ultimately serve ourselves. (Beware – it may not work so well the other way around…) If we simply do something good for someone else that nobody will ever find out about, we will automatically feel the good we’re doing for ourselves alongside. Another writer referred to this as ‘enlightened self-interest’ – a fitting term, I feel. This project of exploring our routines and their foundations need not be a major overhaul, though it could end up taking some much further than they imagined. In my case, I felt compelled to go deep, exposing well-cemented selfish patterns (work ongoing…) and bringing their folly to light. It becomes hard to continue investing in such habits when their fruitlessness is clearly seen. Throughout this process, I have identified and eradicated many extreme habits and stances, including a negative view of routine itself, which I once held firmly. For the longest time, I was trying to escape from routine altogether, evading what I felt to be something imprisoning me. The more I grew aware of the influence of routine the more I wrestled with it. Now that I have accepted the balanced nature of the power of habit, I strive to develop healthy habits and continue to identify and eliminate old patterns that no longer serve anyone. Regular ‘check-ups’ can be helpful. I have found that the so-called ‘mundane’ routines so many of us lead can dull our senses. This is one of the dangers of routine. It can blind us from the beauty and interconnection of life, simply because everything feels ‘the same’. We see the same people, go to the same places, and do the same things, and our senses become dull as a result. When we meet new people, in new places, doing new things, we perk up and become sharp, exercising our attention – we become alert and awake. This is not necessarily an anxiety-based wakefulness (which many mistake it for), but there is undoubtedly an element of vigilance at work. This heightened awareness, once habituated, can then be turned inward to observe ourselves and the various dysfunctional patterns and habits at work. This is precisely what happened with my first year of cycling and traveling around Europe. After habituating this heightened state of alertness, having travelled widely and steadily, my attention was turned suddenly inward (due to heartbreak), and I finally surrendered all of my schemes and routines. I had to exercise this surrender again and again (even still I recommit), emerging afterwards to continue aiming for the lofty ideal of healthy habits in service of love. We need not necessarily expect to accomplish anything specific with our routines (they are cycles, after all), though I feel it is important to work toward something. Understanding the subtle difference here is important. Redeveloping our routines for maximum efficiency and effectiveness is not necessarily about a finite, concrete outcome. Nevertheless, in assessing and reshaping our routines, understanding our intentions becomes paramount. Expecting a particular result can actually become an obstacle here. Instead, we can find ourselves a less-tangible (though no less bright) guiding star and carry on working in service of our dreams. 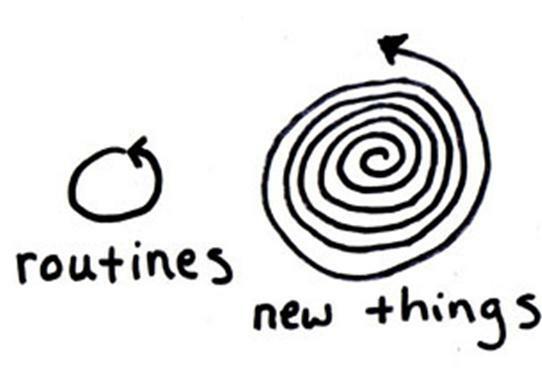 Working from this little image above, perhaps we can blend the two, honouring the power of routine while still seeing the beauty of ‘the new’ always around us. The ideal may well be to routinize as many healthy habits as possible without losing our awareness of their ongoing novelty as we move through them – we don’t want them to become empty rituals. With this approach, we can free up more space in our lives – more space in our hearts and minds – and we can offer this free space to those in need, through simple acts of service and love. I don’t really know anything, mind you – I’m just spit-balling here. I’m simply expressing myself honestly in the moment, with the intent to incite and inspire, through relatively gentle means. But maybe a shake would do us some good, too. You should look inside and be your own judge. Test yourself, if you feel called. For instance, I just finished a 12-day juice fast, not eating any solid food the whole time – just juicing vegetables and a bit of fruit (…not blending…JUICING…a big difference). It proved to be a great test and cleansing process, and I feel so clear and clean after, even more ready to recommit to my lofty ideals, unafraid of the failures I may face along the way. I continue to trust patience and persistence to guide me. However simply it may be, perhaps it’s time we all have a look at our routines (and our intentions) and readjust them for wider service of the greater good. PS…Love is always the answer.